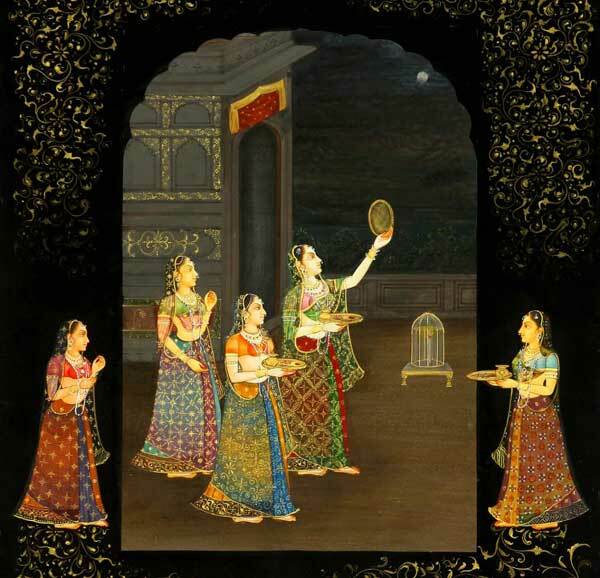 Karwa Chauth is a fast undertaken by married Hindu women who offer prayers seeking the welfare, prosperity, well-being, and longevity of their husbands. Karwa Chouth is at all-day fast women observe to pray for the welfare of their husbands and families. In the evening, having seen the moon or its reflection in a platter or thali full of water they share a special feast. An elderly woman in the house is supposed to narrate the story of Karwa Chauth before the fast is terminated. Offer Arghya to Chandra Dev (god moon) before terminating your Vrat (fast).